No, I don’t have a recipe for these. Yes, I wish that I did. Wow. That is all I really have to say. Are these cookies good b/c they are chocolate? Maybe. Chocolate is one of my favorite foods (okay, you caught me, it is my favorite). Are they good b/c they are chewy? Maybe. 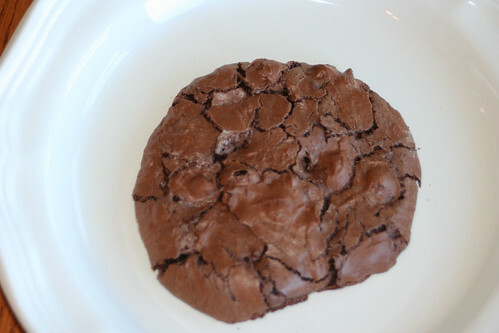 Maybe it is the combination of the chocolate, crunchy outside and chewy inside that does it. It is like heaven on your tongue. So comforting and soothing. I picked up these babies at Whole Paycheck, oh, I mean Whole Foods, yesterday. I saw them last time I was there, but already had some cookies/cake at home to work on. Then someone on the Yahoo Silly Yaks group mentioned them and I remembered that I really, really wanted to give them a try. I made a point to stop in and grab some the next time I was in the area. They are $4.99/pound and totally worth every. single. penny. The ingredients are simple: powdered sugar, chocolate chips, egg whites, cocoa powder and sea salt. So, if any cooking wizards know how to make these, please, share. 🙂 Not that I can’t keep buying them, b/c I will, but I like to bake, so it would be nice to make them at home too. Preheat the oven to 350°F. Arrange the pecans on a rimmed baking sheet in a single layer and toast them for 7 to 9 minutes, until darker in color and aromatic. Remove from the oven, transfer to a bowl, let cool, and coarsely chop. Reduce the oven temperature to 300°F. Line baking sheets with parchment paper or silicone mats. In a large bowl, briskly whisk the egg whites until foamy, about 30 seconds. Stir in the powdered sugar, cocoa, salt, vanilla, and pecans. Using a 1-inch-diameter scoop, drop spoonfuls of dough 11⁄2 inches apart on the prepared pans. Bake for 8 to 10 minutes, until set and shiny, with zigzag cracks on top. Remove from the oven and let cool on the pans for 5 to 10 minutes. Using a metal spatula, transfer the cookies to wire racks to cool completely. The cookies will keep for up to 1 week in an airtight container or 3 weeks tightly wrapped and frozen. 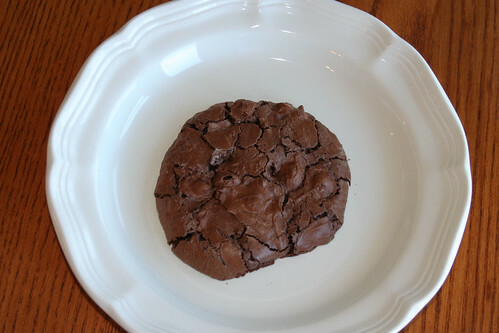 This cookie is amazingly adaptable and can handle up to two additional ingredients. I have tried numerous add-ins. 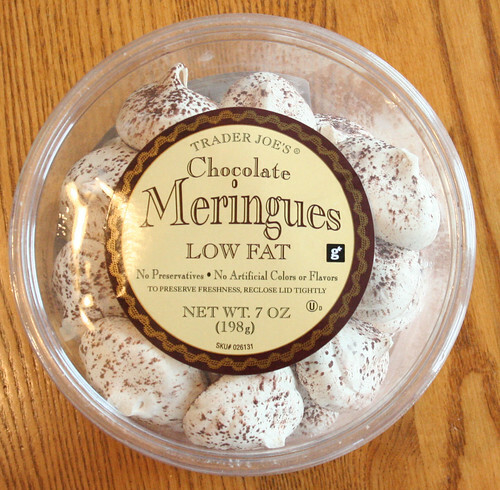 My favorites are 1 cup quartered dried cherries, 1 cup sweetened shredded coconut, and 1 cup semisweet chocolate chips. Nut haters can leave out the pecans, substitute one or two of the add-ins, and make the cookies as directed above. tip: To skip the hassle of separating egg whites from yolks, especially if you have no plans to use the leftover yolks, look in the dairy case of your local natural foods store for small containers of pure egg whites. One egg white equals about 1⁄8 cup. Do not use egg substitute, which is formulated with added fat to simulate an egg without cholesterol. Between 8 and 9 p.m. Tuesday, both Whole Foods locations, Lane Avenue in Upper Arlington and one in Dublin on Sawmill Road, will be giving away free ice to anyone who needs it. There is a maximum of 50 pounds per customer. Ice also will be available around 10 a.m. Wednesday. Plus, Whole Foods Market in Dublin has outlets to charge cell phones and free WIFI. What a great thing to do for the community! An update last night on the 11:00 PM news said that Whole Foods has changed that to giving ice out all day (Wednesday) today, too, and every day until power is restored. What a wonderful thing to do to help out the members of the community through a very tough time. I had some errands to run today and while they weren’t super close to Whole Foods & Trader Joe’s, I decided to make them part of my trip. With the cost of gas, I don’t go to those stores as much as I used to. They are about 15 – 20 minutes away and that is too far when you are paying $3.50+/gallon of gas and drive a mini-van. I always go into these places excited to see what kinds of new, fun GF treats they have. Most of the time I come out close to empty handed. This happens for a few reasons. First, I tend to overstock. You certainly won’t go hungry in my house. Second, the item or treat is a great idea and looks good, but then I rationalize that for less $$, I can make the same thing and it will most likely taste even better than what is sitting right in front of me; this is where I get some of my baking & cooking inspiration. Third, the stuff is just too dang expensive! I was also looking for Lara Bars while on my excursion today. I usually by the Jocalat ones in bulk online, but my other favs are cheaper to buy in local stores when on sale. Trader Joe’s used to have a pretty decent selection, not so much today. They had 4 different ones to choose from and none really jumped out and said “Buy me!” They had apple pie (yuck), cherry pie (yuck), chocolate (have a bunch) and pistachio (don’t like pistachios at all). I guess I will stick to buying them at Raisin Rack where they have about 15 different kinds to choose from. On to Whole Foods. This store is just amazing. It is almost overwhelming with all the different sights and smells. I could spend days walking up and down the aisles. My Dad and his friends call it “Whole Paycheck” b/c it is so expensive…LOL! I started in the produce section and picked up some beautiful, local, heirloom tomatoes. YUM! I grabbed some goat’s milk yogurt (marked gluten-free right on the container) since real yogurt has been bothering my stomach lately. BTW, if this doesn’t work, I give up on yogurt, and I really love it! 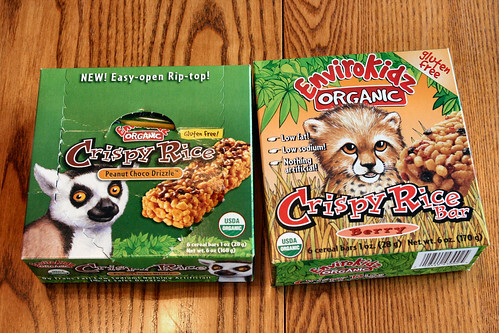 Then I came across some Envirokidz Crispy Rice Bars. I have had the chocolate, berry and PB ones before, but they have a new flavor out……Peanut Choco Drizzle. OMG! I love the new Leapin Lemur Peanut Butter & Chocolate cereal, so I figured these would rock too. Boy, was I right!!! They are just the right amount of peanut butter and even have peanuts in the bar! The chocolate is just right on top, a drizzle, not a coating. These were not cheap (and not on sale like the other Envirokidz bars) at $4.99 for 6 bars, but I had to give them a try. Now, I must hide them from Jon….LOL! Just kidding! When I got home from my outing, I was starving. 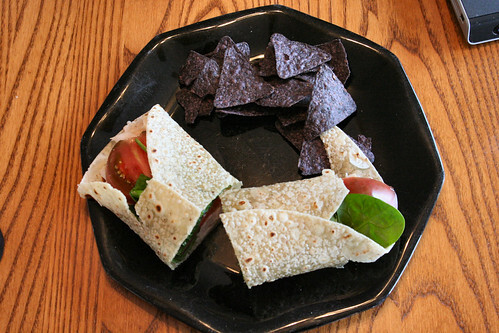 I made myself a wrap with a Food for Life Brown Rice Tortilla. I put in some heirloom tomatoes, turkey, swiss cheese, spinach & Frank’s Red Hot. I had some sauteed spinach & blue corn chips along side. Oh, and don’t mind the rip in the tortilla. These normally don’t rip very easily, but someone had crinkled it up in the fridge in the way back. Wonder who that could have been?? Off to make dinner now.